Thermometers on Monday, for instance, tallied the highest temperature ever recorded by the National Weather Service in January. Even meteorologists were surprised by Tuesday’s amount of sun. The clear, afternoon skies, which followed morning rain, warmed the Seattle area to the point of snapping records. Around 1 p.m., thermometers at Seattle-Tacoma International Airport recorded a high temperature of 56 degrees, 1 degree higher than the day’s previous record set in 2011. Tuesday’s warmth follows a streak of record-breaking weather since Saturday. 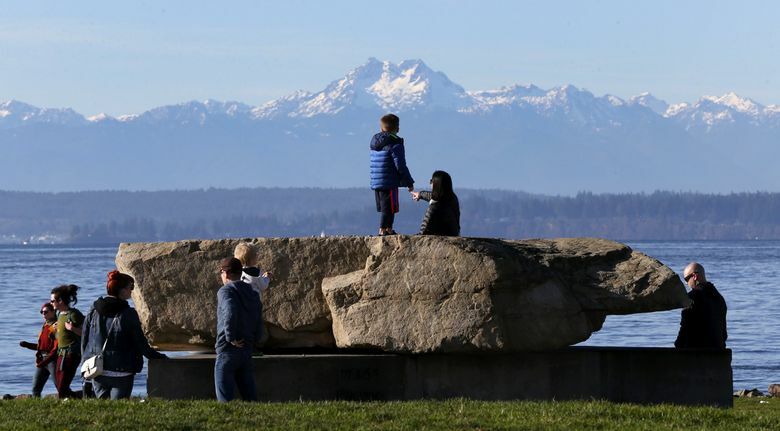 High temperatures in areas throughout the Seattle area made history both on Saturday and Sunday, recording highs in the upper-50s. And on Monday, thermometers clocked a whopping 64 degrees — not only shattering daytime records but tying the area’s highest, all-time temperature for the entire month of January, according to the service’s records. The local area last recorded 64 degrees in January on Jan. 20, 1981, Burg said. But according to the forecast, the unusual weather stops there. Meteorologists are calling for a chance of rain every day Wednesday through Monday, according to the latest forecast, with noticeable wind some days, too. They expect high temperatures to reach 51 degrees Wednesday, and then cool down to upper-40s for the remainder of the week. Typically, high temperatures this time of year linger in the mid-40s.